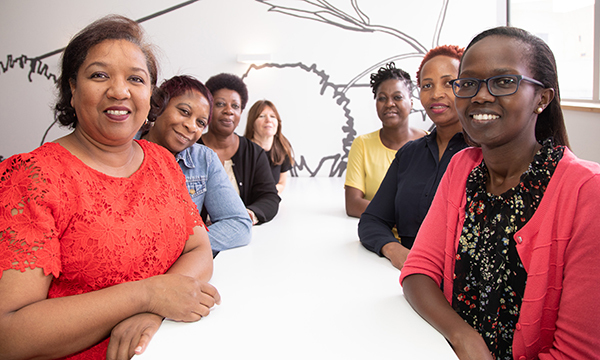 When Sandra Bennett took up her role as integrated sexual health lead nurse at Whipps Cross and Newham university hospitals in London, she soon realised her team was struggling. ‘There was lots of infighting, pain and confusion,’ says Ms Bennett, who is employed by Barts Health NHS Trust. ‘There was no management structure, job descriptions or record of any recent appraisals. She says the lack of training and management for the nursing team caused such problems in the service that many local people gave up trying to get contraception. ‘Nurses could not prescribe or offer contraception, so waiting times and complaints had increased as patients had to wait to see the doctor. Footfall was dropping. Fast-forward three years and, thanks to Ms Bennett’s leadership, the team is unrecognisable – diverse and strong. ‘I feel privileged to have seen my staff, who are from more than ten different countries, develop rapidly into a robust, motivated and enthusiastic team,’ Ms Bennett says proudly. Having arrived in the UK from South Africa in 2000, Ms Bennett knows how difficult the road to career success in nursing can be for overseas nurses. Unfortunately, she says, many staff from other countries ‘have to start at rock bottom’ as their new workplace will be unsure about their skills and competence. ‘That can be very demoralising for some, as they may have been senior nurses wherever they have come from,’ she says. 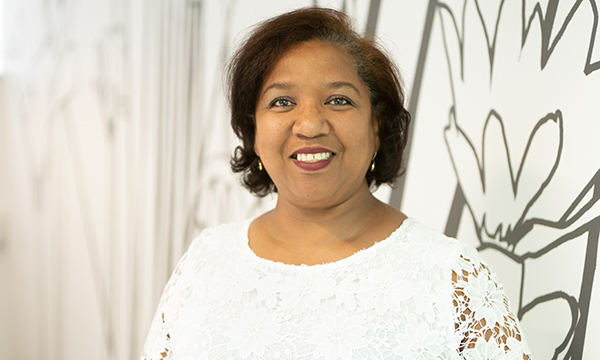 Ms Bennett’s determination to develop more leaders from BME backgrounds was set in motion when she attended the chief nursing officer for England’s BME forum in 2012. At Whipps Cross and Newham she started with in-depth interviews with each member of staff. ‘It was clear from the outset that they’d had a difficult experience over the past few years, with a lack of access to educational resources and lack of senior support,’ she says. As the team’s lead nurse, Ms Bennett provided role descriptions and objectives embedded in an appraisal programme, held regular team and one-to-one meetings with staff to maintain motivation, and enlisted the help of medical staff for supervision, teaching and sign off. ‘Consistency, sticking to the objectives and praise and recognition were important,’ says Ms Bennett. ‘I voiced my gratitude, thanked them for coming to work and reminded them that I couldn’t do it without them. Since the hospital and community teams were amalgamated, the number of nurses and healthcare assistants has increased from 18 to 29. Under Ms Bennett’s leadership, the expanding team has developed in competence and confidence; as well as attending leadership courses, eight nurses have gained sexual and reproductive health diplomas, nine can fit and remove subdermal contraceptives, five can insert intrauterine devices and three have become non-medical prescribers. All nurses are using patient group directives, healthcare assistants have completed the care certificate and some staff members have completed project management courses. The patient journey through the clinic has been transformed. ‘It’s just been amazing,’ she says, adding that it wasn’t always easy, and it took time for the team to trust and accept her and her intentions – and to trust each other. She says there were obvious cliques within the team, with people from the same country often sticking together, and a huge doctor-nurse divide. All of that has changed for the better, with nurses feeling more confident to speak up now. 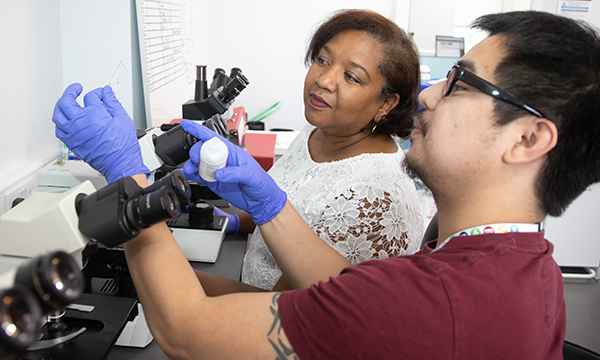 This new cohesiveness has been helped by all the sexual health staff coming together to work under one roof at Stratford Olympic Village medical centre, but the effort put into staff development and training has been key. ‘To get people to buy in you have to make the “why” clear,’ Ms Bennett says. ‘It was about making the team see that in order to deliver an outstanding service, they needed the tools to do the job and to avail themselves of the development programme. ‘There was infighting in the team when I arrived, but I learned that the heart of the person is the same. The people in my team were so different, but when you touched their heart they reacted the same. Nurse practitioner Claudee Pompa says that her team previously had no direction, but that changed when Ms Bennett joined them. ‘Sandra is so positive and empowering that it brought us hope,’ she says. ‘It also brought many amazing changes to our clinical area, challenging us and motivating us to develop. Ms Pompa adds that Ms Bennett went above and beyond to achieve a positive, ‘non-tumultuous’ working environment and involved everyone in both basic and complex decision-making. ‘She tirelessly supported us in our appraisals and made every effort to help us attain our objectives,’ she adds. ‘She was a manager who was easy to talk to. It is not just staff sickness absence and career motivation that have improved as a result – patients are experiencing safe, competent practice and vastly improved outcomes. There has also been an increased uptake in contraception among service users. ‘And it has been achieved by a phenomenal group of staff from band 3 to 8,’ says Ms Bennett. ‘Everyone has something different to bring. I could never done it on my own. If you are not empowering people, you are not leading.